It’s already time for our late winter/early spring round-up. We’ve had some REALLY exciting developments over the past month and are excited to share them with you. We are beyond excited to finally have our very own permanent home. 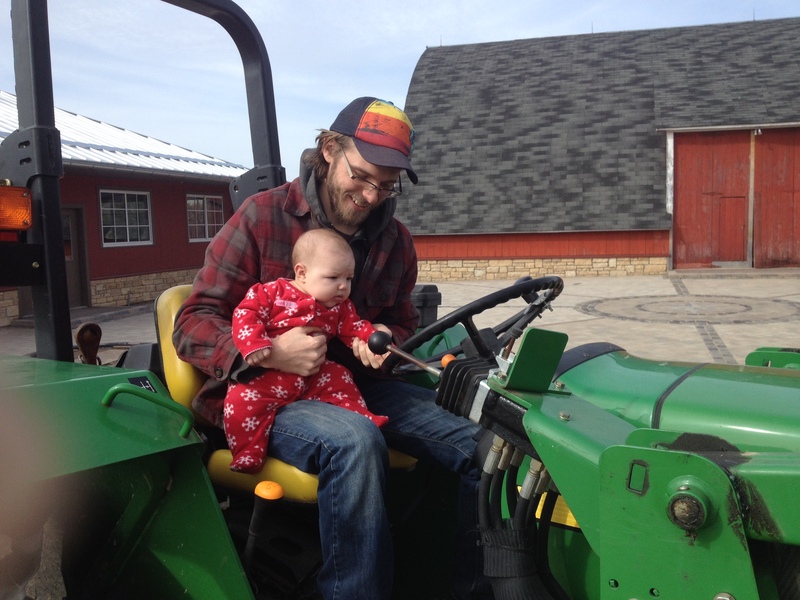 No more leasing, no more uncertainty about whether we’ll have a home or farm land each season, no more making long term investments in soil that we will not be working long term, and best of all a place to put down roots and raise our little Maybelle. 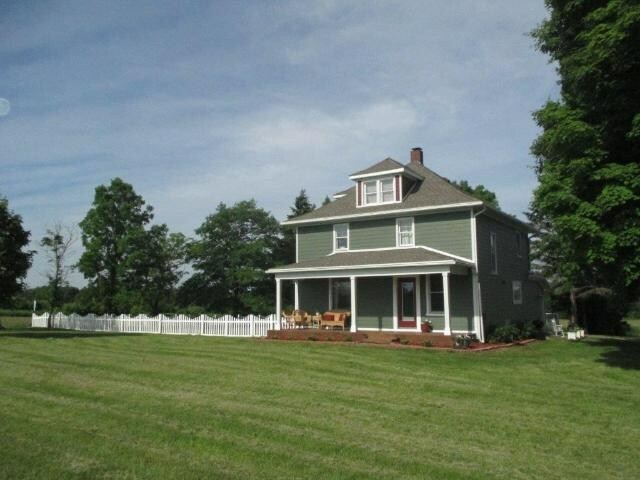 The farm is a beautiful 20 acre piece on the eastern side of Amery. It’s even closer to town than our current place, and maybe only another 10 minutes away from the twin cities. There’s a truly charming old farmhouse with a great big kitchen for canning and baking, plenty of guest rooms, and amazing original bird’s eye maple floors. 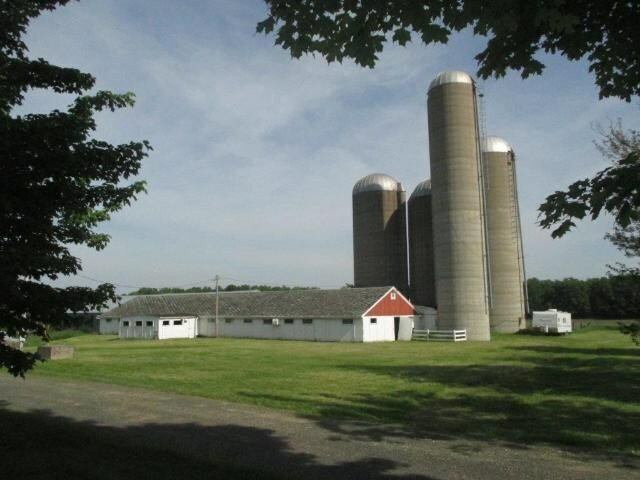 There’s also lots of outbuildings for a pack shed, equipment storage, and more. The fields are flat and square! There’s a lovely wall of trees on two sides of the property, and a trail behind the woods that goes all to way into Amery to the southwest, and up to the town of Almena some 18 miles away. Land ownership is definitely the hardest thing for organic family farms to achieve. 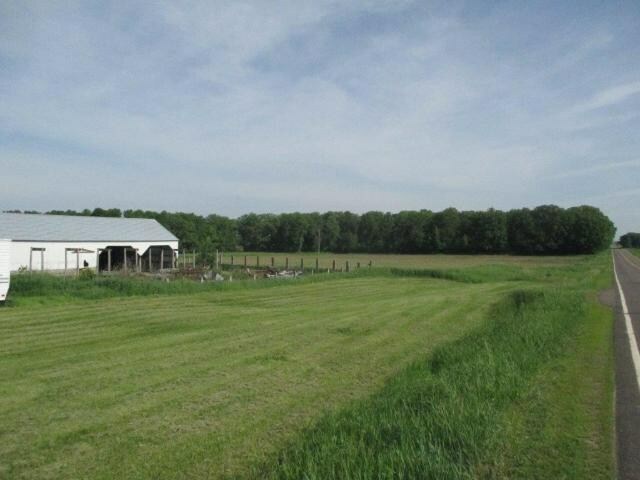 Land is expensive, banks are loath to lend to small family farms these days, and there has to be qualities to a property to support both a family lifestyle and a business. We have been blessed to have had the support of our CSA members and the generous folks who have rented us land, equipment and housing over the last four years under favorable arrangements making it possible for us to get to the point where we can purchase our own farm. We have also been lucky enough work with our local FSA office and local branch of Bremer Bank to secure a low-interest loan to make this possible. And of course many thanks are due to friends and family who have been with us along the way, from our amazing real estate agent who helped us with our year-long search, to our family who supported us when we thought we’d never find a spot, to dear friends who have advised us on the pros and cons of everything from soil to infrastructure on multiple properties. So, what does this mean for our dear members? Not a whole lot right away. Over time members will see perennial crops show up in their boxes as we can now invest in permanent plantings of asparagus, berries and fruit trees. Most of these take between 2-5 years to establish for production. This growing season will still take place on our current leased land, and proceed as usual. We will be working extra hard this season to put up a new greenhouse on the new farm, installing a well, slowly moving over household and farm materials, and prepare the soil and buildings for farming in 2016. We’ll probably have a few member work parties at the new place to help us install things like the greenhouse, an orchard, a berry patch, and maybe a couple thousand asparagus plants. Exciting, isn’t it, to think of the things we can add now that we’re landowners?!?! The main thing is, we need our member sign-ups now more than ever! We’ve got two farms to set up this spring, essentially, and the more capital we have at the beginning of the season, the better. What can you do? If you are planning on re-joining us, please do. If you like us and what we do, spread the word to friends, family, and co-workers. Most of our new members come via word of mouth, and it’s our happy members that do the best sales for us! If you’d like to, and are able, you can print off this flyer to post in your work break room, your church bulletin board, your yoga class, your local library, anywhere you can think of that would be well received. We appreciate your help and support as we grow and take on this fantastic new phase of our farming careers and lives.